Former MLC Mohammad Masood is the go-to man if everything fails. The sub-commander of a jailed gangster-turned-Hindu-Yuva-Sena-leader, who had previously tried to attack Masood, landed at his door with requests when their boss' murder was being plotted. A Muslim gangster who ruled Bunder had to turn to Masood when business rivals tried to turn the police against him. The same man sat across VHP members to organise a 'peaceful Hindu Samaj Utsav' — a yearly show of strength by the Sangh — which usually ends up in communal violence. He sponsored sherbet at this Utsav and, has since been called, rather mockingly by some, as 'Sakara Masood'. But Mohammad Masood's experience as one of the senior-most Muslim leaders of Mangalore is undisputed, second only (maybe) to his peer, late BA Moideen. Mohammad Masood was born in Karkala in the year 1937. As a child, he recollects playing with his mates on the steps which led to the monolith Gomateshwara statue, a Jain pilgrimage centre at Karkala. They hid and giggled at Jain monks passing by who would often be naked. He recalls RSS activities at the Karkala ground, close to Igdah Maidan. He watched RSS karyakartas do lathi demonstrations and drill. Now and then he also took part in them on a whim. He doesn't recall anybody stopping him. The foundation stone of RSS Karkala Office was laid by MS Golwalkar in November 1950. Masood started taking part in Youth Congress activities in his teens and became a dedicated cadre of the Indian National Congress. He eventually became a close aide of Janardhan Poojari when Poojari called the shots in the Congress and went on to head the Karnataka Minorities Commission for ten years. But back then, as a young Congress leader, he shifted to Mangaluru in 1964 in pursuit of better political prospects. "Mangalore was at the height of political activities in those times. On one side, the Communist Party of India had strong Unions, while on the other, there was an ongoing tussle for power between the Congress and Jan Sangh. All the leaders were mostly Gaud Saraswat Brahmins at that time, CG Kamath was the most powerful among them," says Masood, who was himself caught in the middle of riots which rocked areas of Mangaluru, especially Bunder and Kudroli, in 1968. The brunt of the Gaud Saraswat Brahmins power was probably felt most by the other trading community in Mangaluru, the Bearys, with whom the Gaud Saraswat Brahmins share a professional rivalry, which can be traced back to the Portuguese trade days. Hussainabba, son of one the first school teachers from among the Bearys, says that even before the riots, there was always a sense of tension, especially in places where trade took place. "The market was a place of a constant tussle between the Bearys and the Gaud Saraswat Brahmins which led to other problems. A year or two before the riots, there was a tussle regarding the area around Aloysious College, where Muslims used to conduct their festival prayers. Leaders of the Sangh, led by CG Kamath, warned the community against forcefully occupying too much space in the name of prayer. The days after that were tense but nothing happened immediately." In 1968, a series of communal clashes erupted across the coast of Karnataka, starting from the north. The news had reached Dakshin Kannada and the situation was tense. The event which sparked off the riots in Mangaluru, according to old-timers, was an alleged love story between "Mutton Khader", a meat trader and a Moghaveera fisherwoman. Some say it was friendship, others call it a love story. But their interactions were under constant scrutiny. "Friendships between us and these small Beary traders who bought fish from us was common as we interacted almost every day. Some blossomed into love stories. 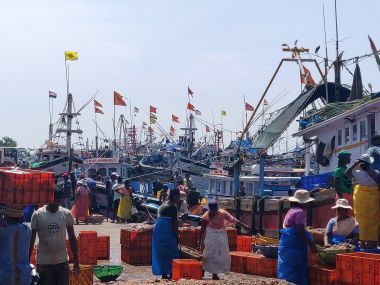 There was nothing unusual about it," says 83-year-old Sumangala, who has been selling fish for the better part of her life. A 1979 Kannada film titled Karavalli was based on a similar plot, a love story between a Beary fisherman and a moghaveera woman. The film was banned in South Kanara and the filmmaker couldn't return to Mangaluru after that. Sumangala says these love stories were as common as the shells which sweep up onto the shore. As she starts narrating another story, she is instantly hushed by other women around her. "Our men were fed tales by those who wanted our communities to fight and overnight enmities seem to blossom more than love". This became a popular method to evoke violence from the Hindus in the future: the danger of 'their men falling in love with our women'. Masood recollects that communal tensions which started in North Karnataka and soon enough sparks started flying in Coastal Karnataka too. "You should understand that political forces like Jan Sangh were trying hard to turn anybody against us. They used the problems between us and the Mogahveeras to their advantage, by turning our communities against each other. As such, they were already feeling threatened by our role in the fish industry. On the day of the riots, people came running to my house saying that boats filled with people were docking at the entrance of our area and entering to attack", continues Masood, who by then was looked up to as a local leader. Muslim shops in Hoige Bazar were ransacked. From the market, it spread to the areas where Muslims were living in and around Kudroli to Jeppu. The police were summoned and soon after, they opened fire, killing two people. Suleiman, a fish trader who was 12 when this happened, recollects being saved by a local Congress leader called Devdas Karkera. "He brought his car and took us all, group by group, outside the area. Or else we would've died. 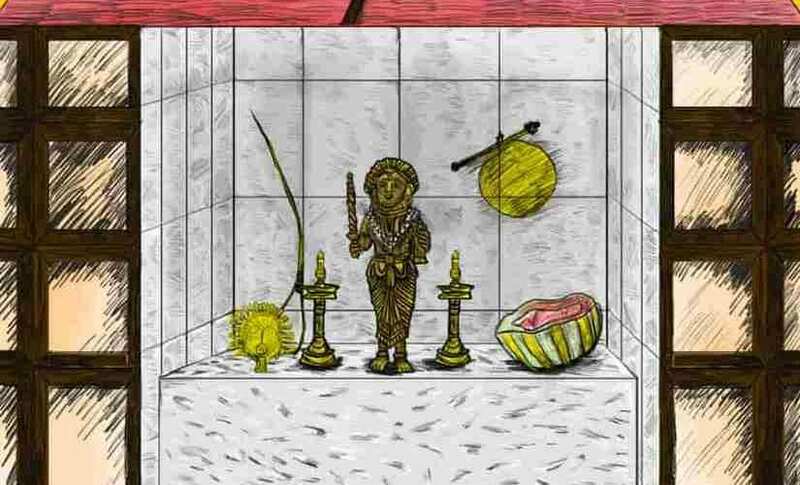 He was a Moghaveera himself," he said. In the days to come, trucks belonging to Beary traders were burnt down and so was a Masjid at Bolar, the main trading area in Mangaluru. A few days later, three shops next to the Masjid, belonging to Gaud Saraswat Brahmins were burnt down. The son of one of these shop-owners, Vasu (name changed on request) has a different story to tell. Vasu insists that the riots started from when their shops were burnt and that Muslims suffered no major loss of property. "Congress tried to make it seem like the Bearys had suffered but honestly it was we who suffered." He also recollects how a Muslim Bora trader from Gujarat supported his father financially to rebuild his store when most people from his own community did not. 98-year-old Qisma Shahida (name changed) still talks about the incidents of the 1968 riots, remark her grandchildren. "They ran into our houses and broke everything they could. Many of us ran away and hid till things died down," she says. 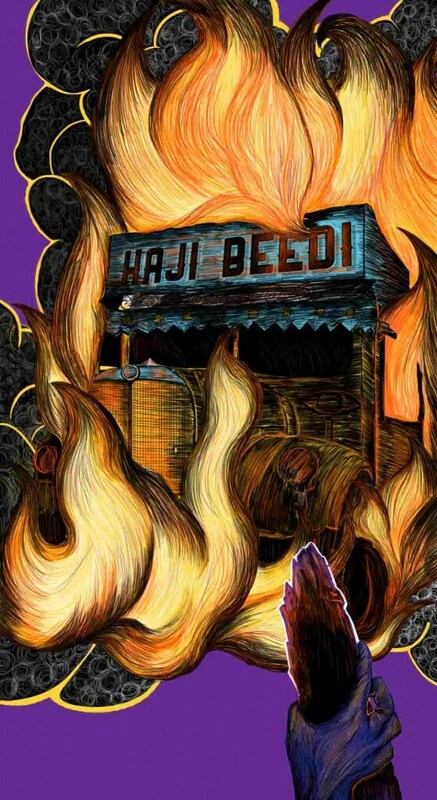 Natesh Ullal, a filmmaker from Mangaluru remembers seeing a bunch of men burn down a truck owned by Haji Beedi right in front of his house in Urwa. "The men weren't familiar, they weren't from the neighbourhood. They walked up to the truck, told the driver to get off and set it on fire." An eerie silence followed the days of the riots and the markets resumed in a weeks' time. "We had no other option. We had to go back to the same area and face the people who couldn't digest our well-being. But for years after that nothing happened," remarks Hussainabba distractedly, "For many years, the efforts of the Jan Sangh to establish us as different hadn't worked. But for the first time in 1968, I felt like it finally had". The Moghaveeras lost a life and many youths were arrested. The elders intervened and there was no incident like that for years after that. 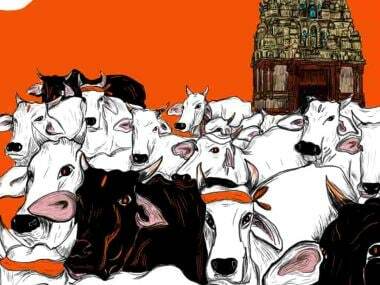 Despite the Sangh's best efforts, its politics had few takers in Coastal Karnataka as up until then — the Tulu identity was more powerful than the 'Hindu' identity. The support for Hindu mobilisation remained mostly in the urban areas and small towns of the region such as Mangaluru, Ullal, Udupi, Puttur, Sullia, Karkala, Moodabidre, Ujjire. In the rural areas, feudal relations were being upset by the incessant talk of land reforms since the 1920s and Hindutva was not a prime concern. The Moghaveeras were the only Tulu community to be swept up in the religious frenzy of 1968. The Hindu movement continued to retain a mostly Brahmin character. Over the years, the Sangh managed to bring a more mass character by using populist cultural methods, like it did in Nagpur. The Christian, Hindu and Muslim landlords who lost their clout when land reforms were finally implemented in 1974 started a migration that took them first to the cities and towns of Coastal Karnataka from where they further migrated to Bombay and eventually, the Gulf, Canada and Australia. Today, Coastal Karnataka's international diaspora invests heavily in the region's economy and politics. Indeed, some describe the Coast as 'a remittance economy'. The relations between the different landlord communities before the reforms was that of co-travellers and not marked by communal conflict. "In the 1950s, when my grandmother was young, most of the landowning farmers and their wives assembled in our courtyard to gossiped and indulged in conversations. My grandmother welcomed all of them with open arms", says Ismat Phajeer, who runs a Diagnostic Center in Derlakatte. It is a remarkable anecdote because the land that his family lost to redistribution was in a village in Ullal Taluk, 20 km from Mangaluru. 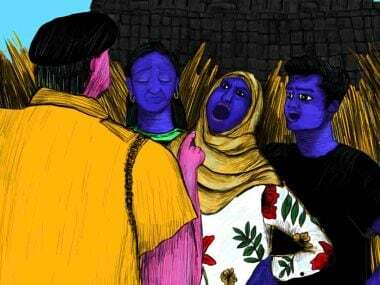 Ismat says that in the 1980s a vicious rumour tore through the social fabric in Ullal where Muslims participated in the games organised as part of the Krishna Janmashtami festival celebrations. "Somebody spread the rumour that the Malkhamb (grease-pole) was laced with pig fat. The rumour strengthened Muslims who were discouraging the participating in the festivities which they called 'shirk' (sin). That was when our participation in those festivities ended." Today, Ullal is one of the most communally volatile spots in Coastal Karnataka. While urban Mangaluru woke up to communal riots for the first time post-Independence in 1968, it was not until a decade later that the rest of the region saw this kind of polarisation. This decade saw the RSS pushing forward in full steam and finally exploding into a powerful movement as a result of conditions created by Indira Gandhi's second term as the prime minister and the imposition of Emergency in 1975.